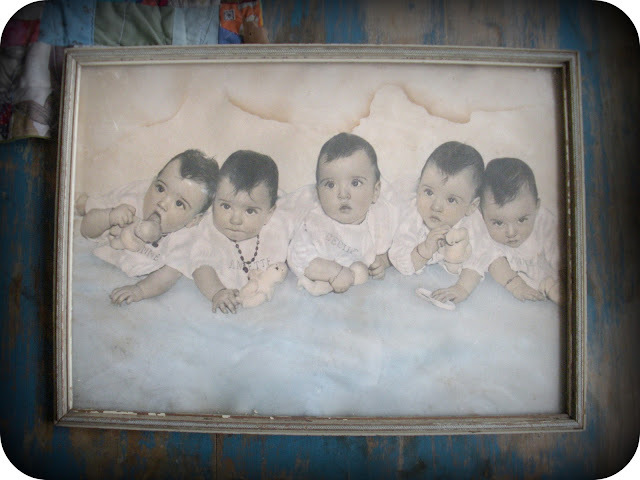 While out treasure hunting last fall we found this photo of the Dionne Quintuplets. I gave it to Butch Anthony to work his magic. It just so happens to be for sale in our friends shop, Southern Folk Art. 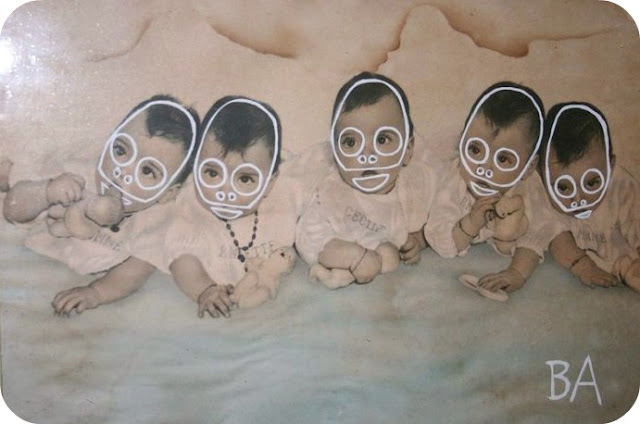 I love when artists can bring something old and forgotten back to life. p.s. I found some pretty fabulous finds while out treasure hunting with my Mommy during her visit. She is an estate sale good luck charm. I'll share them with you soon. I can't even look!!! Oh my, I know you love Butch but I can't look at his art...it hurts my eyes and scares me. Got your email..be happy. You are silly. I think that is why we are good friends. We are both super opinionated and like what we like. How fun is that?